If you are injured on the job or are diagnosed with an occupational illness, it is your responsibility to file a timely workers’ compensation claim. You should understand that, if you fail to appropriately file a workers’ compensation claim, or if you miss any of the statutory timeline requirements related to filing, receiving care or appealing your claim, the Trust will also deny all related medical services under your medical plan. 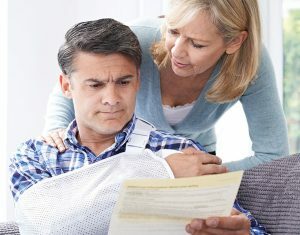 To learn more about the statutory timelines and your rights under workers’ compensation, refer to the information posted on the Department’s intranet or the posters posted in or near your location, or contact the Workers’ Compensation Detail by calling (702) 477-7010 or visiting their office at Headquarters, Building B, on the fourth floor. You and your attorney (if any) must fully cooperate with the Plan’s third-party recovery efforts, with updates and information regarding the workers’ compensation claim, and any settlement. 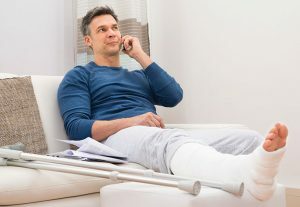 Once the signed and completed Reimbursement and Repayment Agreement is received, your claim may be paid while you continue to pursue the workers’ compensation claim. Contact Melena Florence with UMR to obtain the Reimbursement and Repayment Agreement at (702) 242-7826. 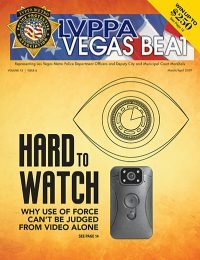 She will continue to be your liaison between the Las Vegas Metropolitan Police Department Employee Health and Welfare Trust and CCMSI. If your case is accepted as a compensable workers’ compensation claim, it is imperative that you contact Melena Florence with UMR immediately so that she may begin the recovery process. If the denial is upheld, please notify Melena Florence at UMR immediately. UMR will work directly with CCMSI, the workers’ compensation carrier. Please note: If you accept a settlement and/or close your claim with CCMSI, any future services related to that injury or illness will not be covered under your medical plan (the Trust). Claims will continue to be classified as work-related regardless of the status of your claim with CCMSI. If you feel you need further medical treatment, you must contact CCSMI. Please read the settlement and closure agreements very carefully, as your reopening rights are explained to you in those documents.